One major factor to consider when looking for a garage door is how safe is the door itself, as the door is controlled by a remote it’s much safer than a manual door. The main reason is that you don’t have to drag or pull the door. These doors often have an alternative mechanism for manual locking and unlocking. This feature makes it great when maintenance needs to be done and for security reasons also. Even when there’s a power cut, you’ll still be able to control it. In this era of technological advancements, people are looking for ease of control for everything the main reason for this is down to convenience. 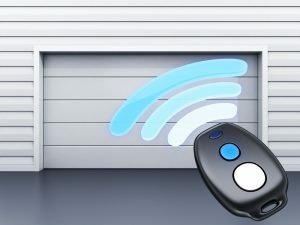 Electric garage doors are operated automatically using a remote control. This means that you don’t have to stop what you’re doing to open the door manually when needed. 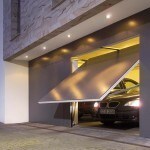 These garage doors can be operated from the inside as well as from the outside. If you’re in the car, you can use your remote to open and close it without getting out of the vehicle. 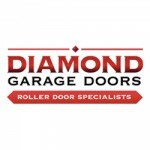 There’s a variety of ways in which electric garage doors can be designed. They don’t have to always appear modern and electric. In fact, they can still look like manual doors with the aesthetics included but have the electric door mechanics. You get to choose any material or style you want. They can be made of aluminium, fibreglass, wood composite, steel or wood. They can either be of raised or long steel panels. Electric automatic garage doors offer you options for the speed at which you can control it, depending on your preference. You can make an adjustment to the speed at which you open or close your door. Also, depending on your needs and decor of your home, you can pick one that’s matching the exterior of your home. As well as the increase in security that comes with always parking your car out of sight, automated doors are also tougher to gain access to than a traditional garage door, which can be a prime target for thieves. 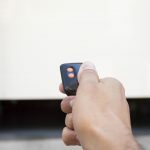 The remote control is essential to get into mechanical garages, meaning that you can deter burglars and keep your car, garage, and home much more protected. The maintenance requirements for the electric garage door are more complicated than those of the manual garage doors. They also need to be properly maintained as you want them to be long-lasting. It’s much harder installing an electric garage door than it is a manual. It’s therefore, necessary that you get an expert to help you during the process. Every automatic door operates on powered remotes. In the case of the battery running out or the power cutting in the garage, such doors cannot perform their operation and may be an issue if you are in a rush in the mornings and wasn’t expecting for the issue to occur.